Bruce Rudman comes to the practice of law after spending fourteen years in senior management with a licensee of a national retail chain. After deciding to go back to school to get his law degree, Bruce graduated at the very top of his class. Bruce is known among other construction attorneys in the areas of mechanic's lien and construction dispute litigation. Bruce was elevated to partner in May 2005. One of the areas of law that Bruce particularly emphasizes is the Contractors' License Law and in particular, the Contractors' Board disciplinary proceedings. Bruce has appeared before the Contractors' State License Board, and has been queried by the Registrar and Board members on specific issues regarding arbitration and construction laws. Attendance and representation of the firm at various trade association conventions and speaking to their members on a variety of topics affecting contractors is something that has not only helped our clients but has allowed Bruce to stay in tune with what the industry really needs. Many in the industry defer to Bruce when they need any type of construction contract drafted or reviewed. In January 2001, Bruce was honored by being featured on the cover of Los Angeles Lawyer Magazine, for an article he wrote along with Sam K. Abdulaziz, "Hammering the Contractor" which dealt with contractor's disciplinary procedures. There are very few lawyers in California who understand and take part in these types of proceedings. Bruce has represented a number of contractors beyond the hearing, in writ proceedings to the Superior Court, as well as in appeals to the Court of Appeal. Bruce has also participated in California Supreme Court cases. Very important to contractors was the WM. R. Clarke v. Safeco Insurance Company of America case, where the court abolished the so-called "Pay-If-Paid Clause," where Bruce was an active participant. Bruce is a trained arbitrator and mediator, including mediation training at Pepperdine University School of Law's Straus Institute for Dispute Resolution in addition to training offered by the American Arbitration Association. Bruce serves on the American Arbitration Association's Commercial and Construction Industry Arbitrator panels and he is available to act as a private mediator or arbitrator to assist parties in resolving their construction related disputes. 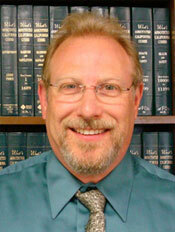 Bruce is also instrumental to Sam's annual book, California Construction Law, as an editor and contributor. For more information about Bruce Rudman or Abdulaziz, Grossbart & Rudman, email bdr@agrlaw.com.